For a few months I’ve been working on a wall collage above the living room fireplace. It’s been an ongoing project and it has taken time to find just the right objects to work into the collage. I picked up the sticker below at an art show a few months ago. I thought it would be a great addition to the collage. I totally love it. Of course, the giclée print would’ve been my first choice, but I liked the size of the small sticker and thought it would be fun to get creative with a frame for it. I like to use wire and beads to embellish small objects. I decided to try a little something with this. 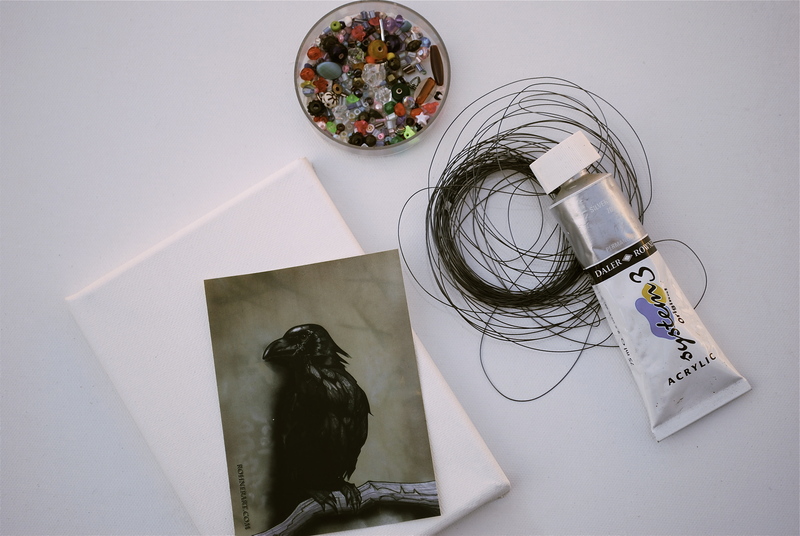 I simply applied black paint to a small canvas (7″x5″), gave it a wash with a few dabs of silver paint, beaded strands of wire and wrapped that around the canvas – I was hinting at a nest with this idea. I used double-sided pop dots to float the image on the canvas. This was just a quick project I did in a few minutes. The great thing about using acrylic paints is the fast drying time. And it’s so easy to dress something up with a few beads and wire. Well, that’s it for today. Thanks for checking in. I’d be glad to see some of your super quick projects too. 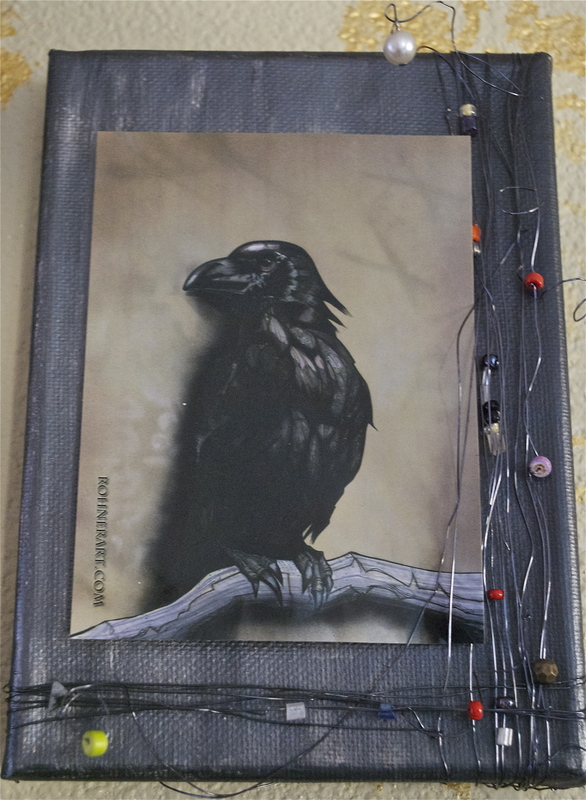 Also, if you like this sticker with image “Crow Totem” by Michael Rohner you can see more of his work here at his website.